Our gun belts are crafted by a handful of individuals who strive for perfection every step of the way. Our craftsmen understand that open and concealed carriers require a sturdy gun belt that will keep any handgun firmly in place. As a result, you’ll receive a quality leather gun belt that will never sag under the weight of your pistol or revolver — guaranteed. 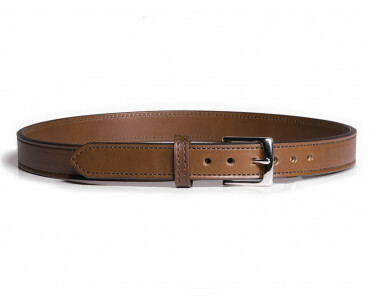 Our premium leather gun belts are available in three styles. 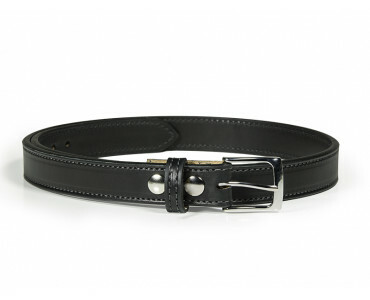 These options all provide a level of support and all come in the standard 1.5-inch gun belt width. If you’re looking to carry a micro or subcompact handgun, we recommend the 14-ounce leather option. 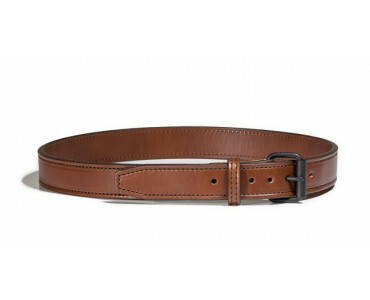 For a belt to support your compact gun, you’ll want our 14-ounce leather with steel core. Carry your heaviest weapon with our 18-ounce with steel core gun belt option. 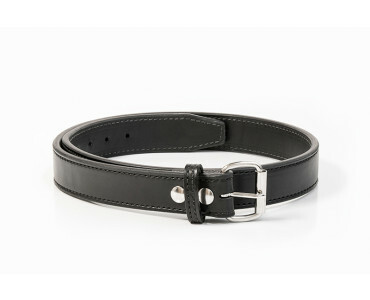 We craft each belt using the highest-quality English bridle leather. Once drum-dyed and vegetable-tanned, the leather is cut to size and sewn together with military-grade thread to create a gun belt that lasts. Once the belt layers have been secured, our skilled craftsmen then hand bevel, burnish, and paint the edges of the leather gun belts. This process protects the belt from damage over time. And as a result, your gun belt will not only support the full weight of your firearm – it will look beautiful while doing so. 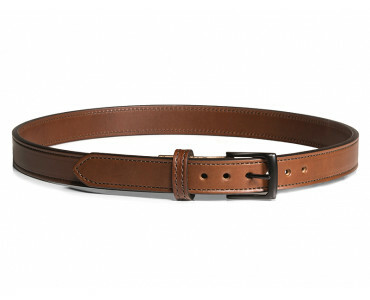 In order to product the best gun belts, we added a durable roller buckle to the strap, along with two directional snaps. This corrosion-resistant hardware will provide you with a quick and easy way to adjust your gun belt to accommodate a gun holster. Not to mention, it will complement your entire wardrobe. All Bigfoot gun belts are available in classic black or rich brown. We also back each belt with a Legendary Warranty, which includes a 7-Day Test Drive and 1-Year Warranty.